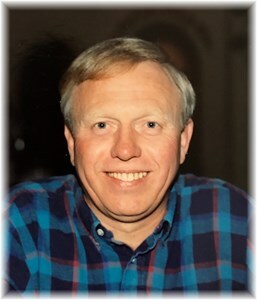 James R. Venable “Jim,” 69, of Prospect, passed away at his home on February 5, 2019. Jim is survived by the love of his life, Laurie (m. 1988); sons Matthew (Shelli), and Benjamin; brothers Bill (Mary Jane), Jerry (Cathy), and Randy; mother-in-law Imogene Wilson; sister-in-law Connie (Evan), and many nieces and nephews. Visitation will be from 10 am - 12 pm on Monday, February 11 at La Grange Baptist Church (1139 Commerce Parkway, La Grange, KY 40031), with a celebration of Jim's life to follow at 12 pm at the church. Jim's final resting place will be in Rochester, Indiana at a later date. Memorial donations may be given to the Crestwood Civic Club, P.O. Box 111, Crestwood, KY 40014. Add your memories to the guest book of James Venable. I remember Jim would come up with these wild things that he said had happened or he knew about. We would always say "Yea right" but he would always continue on with it. The next day he would come back with proof he had or found on the internet. Somehow i would always get involved or be a accomplice. There was this key fob incident that i laughed for days about. I have many funny stories that will be dear to me. He was such a funny man, great friend, and mentor. I have so many good memories of Jim. He was the first Area Manager to welcome me to the Louisville Plant when I joined the Company in 1983. Many years later, when he was Plant Manager at a Company Plant in Illinois, he got tickets to Wrigley Field to see the Chicago Cubs when Tony Barth and I taught a leadership course for his plant. Tony and I, big baseball fans, were thrilled. The last time I saw him was at Churchill Downs. He was on the Board of Trustees of Spellman College and they were having a fundraiser there. Jim introduced me to the nun who was President of the College. The Bible describes Jim perfectly: "...the righteous man walks in his integrity.." (Proverbs 20:7). I knew Laurie when she was an Accountant at the Plant: wonderful person! They made a great couple. Jim was the best boss I ever had. We had so many laughs during his time at the Louisville Plant. I used to tell him all the time he was addicted to nose spray. I wonder if Laurie ever got him off it. We had so many good times. Laurie and I were very close friends when they met. I was so happy they found each other. He was a wonderful friend and father. When John and I moved to Florida we became friends with his mother who is in heaven now Jim. My heart goes out to Laurie, Ben and Matthew. We are so very sorry to hear of your loss. We know how difficult it can be. Jim was a very special person, he always was happy with a smile for all. His gentle spirit and valiant fight through to the end. He will be remembered by all he has touched. The memories you have will provide you and your family comfort during this time and you will find joy in sharing them for years to come. My condolences to you, Laurie. Jim was one of the best people I have ever worked for or with, and guided me into a career in EHS when I sorely needed it and certainly wasn't the best candidate. I have not forgotten, and will not forget, that the faith in which he entrusted me. Condolences to Jim's family. He was a very nice person. It was always a pleasure working with him. Jim will be truly missed. Laurie so sorry for your loss. I will miss Jim. We had lunch every month for the past few years and we exchanged jokes and stories every time. We had a close friendly relationship ever since we first met...years ago at Rohm and Haas. We talked on the phone at least once every week and always ended conversations with laughter. God bless you Jim. God bless your family. I will share funny stories with you...'cause I know you will be listening. So sorry for your loss. Jim was such a nice and thoughtful man. We enjoyed talking with him at dive practice/events when our boys dove together. Our thoughts and prayers are with all of you during this time. God bless you all. Jim was one of the finest people I ever met and a perfect example of what made Rohm and Haas a great company. I was fortunate to work with Jim during my time spent at the Louisville plant. He was a natural leader and inspired people to accomplish more than they knew they could do. He treated everyone with respect and kindness. He will be missed greatly. Laurie and everyone in his family are in my prayers. Jim was a good manager to work for; he treated people as he would want to be treated. He was a good person. He had a great and humorous wit. He will be greatly missed by not only his family, but his friends and colleagues. Laurie and family, May God bless you during this tough time. I worked with Jim at Daramic in Corydon, Indiana. He was always a pleasure to deal with. Missed him alot after he left.